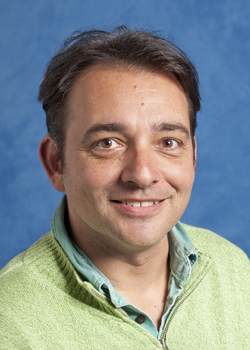 My name is Mario Campanelli, and I am a physicist who has been working for about 9 years on the ATLAS experiment, as part of the academic staff of University College London. This is the first time I write a blog, but I do have quite an experience in communicating science to the public, having guided visitors around CERN since I started working there as a PhD student 20 years ago, and also having written two books for the general public. Since Saturday I have been in La Thuile, a mountain resort in the Italian Alps, for the Rencontres de Moriond - arguably the most important winter conference in particle physics.